In California’s Central Coast, halfway between San Francisco and Los Angeles, the Paso Robles Wine Country has over 200 wineries with about 26,000 vineyard acres producing more than 40 different varieties. Among the many wine varietals grown there is a broad spectrum of Rhone varietals. The growing season here is full of warm days and cool evenings resulting in vibrantly ripened fruit. The city of Paso Robles has about 30,000 residents and the other communities here include San Miguel, Templeton, Atascadero, and Santa Margarita. 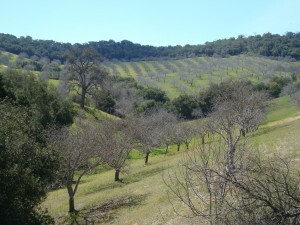 We are very fond of the Paso Robles Wine Country and have spent a lot of time here because we were lucky enough to have friends who lived in Paso Robles for a number of years. Keep reading to learn about our favorite destinations. Paso Robles Wine Country Alliance – A cooperative marketing alliance made up of Paso Robles Wine Country wineries, vineyards and related businesses. Their annual wine events include the Paso Robles Zinfandel Festival (March), Paso Robles Wine Festival (May), and Harvest Wine Weekend (October). Their wine country guide book, and map, are superb. 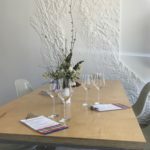 Loved the article on Paso wines. It’s one of our favorite wine country places. The helpful information on some new wineries have been added to our list to visit on our next trip. I work for a small winery in Winters, CA. The wines remind me of that Paso flavor we miss when we can not make a trip to Central Cali. Try Turkovich Family Wines! Tasting is complimentary until 5:00 p.m. daily.